ONE OF THE PRODUCT categories where we’re seeing a lot of solid innovative thought being applied in 2012 is in Vests and Packs. The days when your options were basically limited to different shades of bulky, hot fishing vests, or awkward, heavy packs are over. The game now is all about function, and lightweight, quick-drying materials (with waterproof compartments) are the norm. Patagonia has created an “Atom Stealth” sling that caters to the minimalist angler who wants full range of motion when casting. 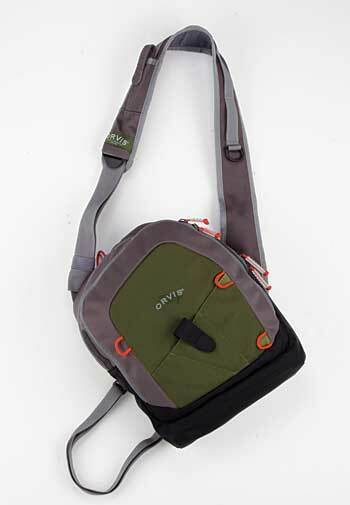 Orvis also created a “Magnum Sling Pack” that offers good capacity for boxes and tools, but doesn’t weigh down your shoulders, or stick out on your chest or waist. 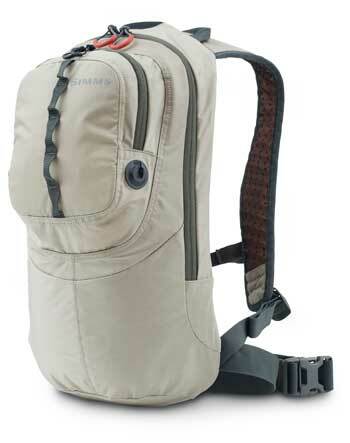 Fishpond has been a leading presence in the category for several years now, and it has three new packs for 2012 that are catchy to the eye (in typical fishpond style), but the real emphasis is on value, with the “Flint Hills” lumbar pack costing $49, and the “Low Tide” Hydration pack costing $69. Again, playing off minimalist appeal for the “dialed-in” angler, Simms introduces a “Headwaters Half Day Pack,” which, as the name implies, is just right for toting a “session’s worth” of supplies. You’ll also want to check out some new pack options from up-and-coming companies like SmithFly Designs and Vedavoo. And for a catch-all dry storage option, the new “Watermaster Dry Bag,” is a good value. Form, function, affordability, with a bit of style thrown in for good measure. That’s the industry mantra for 2012 vests and packs. If you’re thinking about changing up your system, this is a good year for exploring alternatives.